Appx. 20 pounds in 1 pound packs. Fresh, Local, Custom Cut just for You. This share is Born, Raised, and Harvested on our Farm. Please specify if you would like larger packs (example: 2 pound packs) in the order comments at checkout. Save an 50 cents per pound by ordering 3 shares (select 3 of the same, or different types of shares). Discounts will be applied at final billing. For multiple share discount, all shares must be ordered at the same time. Please allow 2-4 weeks until delivery for us to process your order. You will get an email notification when your order is processed and scheduled for delivery. If you need something right away, please contact us and we will see what we can do (especially for larger orders). Listed Price is $2.37 per pound "On the hoof" (live weight, average is 33.5 pounds per share), plus $1 Per Pound (about 20 pounds) of Processing Fees. You get about 60% Of live weight as finished product so you will end up with close to 20 pounds of ground pork at about $4.97 per pound. Since each pig is different, total weight may vary by up to 5 pounds per share. Your account will only be charged once your order is processed and ready for pickup or delivery. 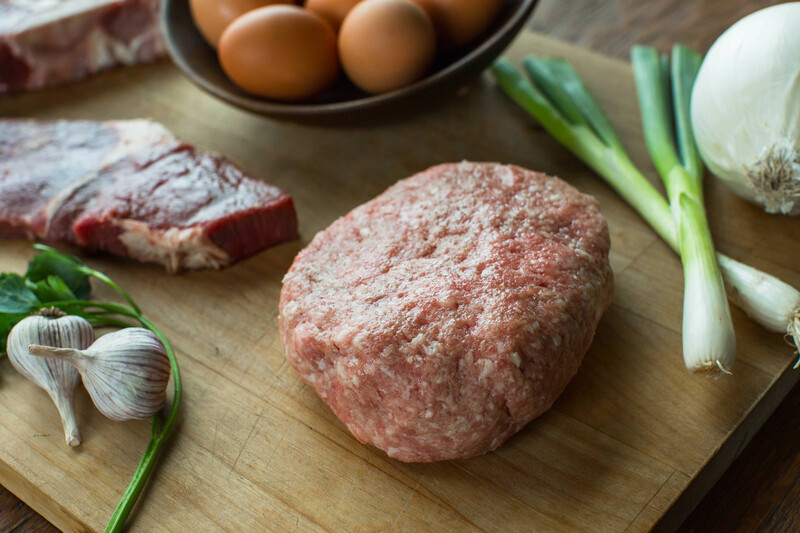 By purchasing this 1/9th hog share, you are authorizing Treebird Farm to group you with other farm club members to split a whole hog and are hereby giving your cutting instructions to have your share custom processed into ground pork. Processing will be in our own WSDA licensed facility on onsite, is not listed for resale and can only be delivered to homes and drop points in Washington State (OREGON RESIDENTS can select a WA drop point in Bingen or Vancouver).